Starting 2018 A high-level look at what I hope to achieve over the next 52 weeks. For the first time in I can’t remember when I took ten days offline. Completely. and that's a wrap (see what i did there? 🎁) for 2017. I spent my time with my family and on thinking through how the past year went and what I want to do in the coming year. At this point, it’s normal to try to segue into a post about resolutions and but I’m not so much about resolutions as I am about goals. And I’m not about prescribing goals for anyone but me, anyway. Though it’s common in our space to look back and reflect on the year and how things went, I don’t find posts outlining what we plan to do in the coming year. That’s probably because it’s far easier to reflect than project (after all, we know less about what’s coming in the year at this point than we do at the end of the year, right? ), I still like to spend some time trying to lay out a few goals. But since we typically do posts about how the year went, why not write about what we want to do so that, 52 weeks or so from this post, we can look back on what was done, what wasn’t, the surprises, and the why behind it all. The motivation behind wanting even to bother writing a post like this is because some of my goals concern this blog and the membership component of this site. To that end, I thought why not make this particular post how I’m looking to approach the coming year, the process through which I filtered down my goal, and how I hope to achieve them? So if you’re into that sort of thing, then read on; otherwise, feel free to close that browser tab and move on to whatever’s up next in your reading list . I almost didn’t bother using the word quadrant in the heading above because it sounds so formal. But the truth is, that’s exactly how I’d describe it. I mean, I didn’t set out to create four specific areas in which I wanted to focus. But after everything shook out, that’s where everything fell. And it worked out. To that end, why not try to make that my approach this year? Granted, I have no delusions of grandeur that I operate at that level, but entertain the idea of their approach for this post if nothing else. 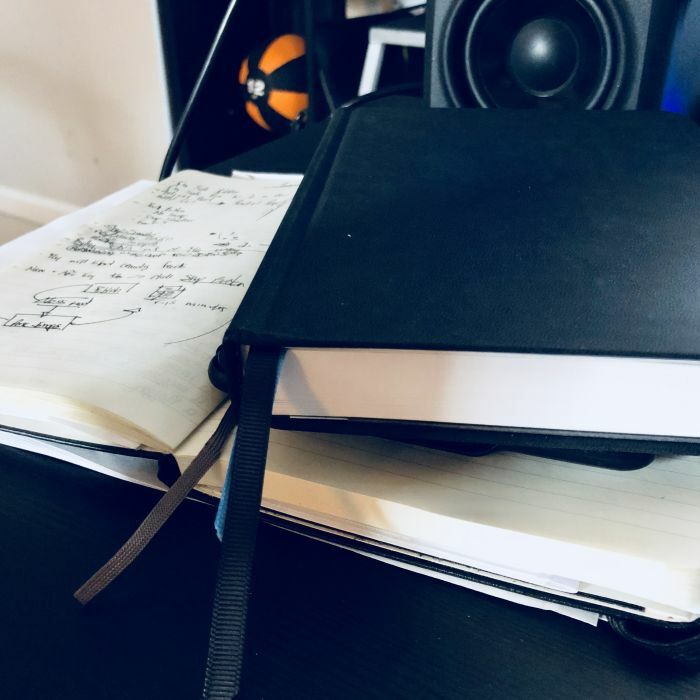 Before actually looking at what I wanted to do in each area of my life, I thought it worth mentioning a few things relating to how I approach this and what notebooks and software I’m using (because this is tied to previous posts I’ve written). I started by creating a generic file in Notes on my phone in which I simply did a brain dump of everything I could think of over the past year – the good, the bad, the ugly – and everything I could think of for the coming year. After dumping everything out over the course of the time that I was taking off from work, I then began to distill everything down into what I’d consider matters for 2018. From there, I then sorted things into categories like Reading, Writing, Business, Family, Fitness, Music, and so on. And from there, I refined it down to the following four categories below. Things to take care of personal things. A few of these are the constant result of trial and error until finding something that works with as minimum friction as possible. So, yeah, if you’ve been reading for a while then some of the above (namely Calendar and Reminders along with iCloud) likely seem different. Now that this preface is longer than the list of goals itself, why not get down to what goals I set out? So here they are (in no particular order). Read 10-12 books. This doesn’t sound like much, especially when I see what both my wife and my friends are able to do, but I don’t read for leisure near as much as I’d like. Thus, I’ve set a goal of reading at least one book a month and giving myself two months margin as a “just in case.” I find this is key to avoid the feeling of failure or missing a goal. More Aggressive Saving. I don’t talk much about finances – personal nor business – but suffice it to say that I’m financially conservative by nature. But there are goals that my family and I have for years to come, and I want to make them a reality. To do so, I think it’s import to aggressively save (where “saving” can be either saving or more aggressively investing). Write At Least One Song. In the previous post, I shared that I set out to write five songs last year. Though I have a notebook and records of fragments of multiple songs, I wrote one fully developed song in the entire year. So, for this year, I aim to do the same. Play More Games. For the first time since having kids, 2017 was the first year that I was able to play video games somewhat regularly. I bought a Switch, played Mario Kart 8 and The Legend of Zelda. My girls and I each got a 2DSXL for Christmas, and we’re already making good on this. Adjust the Frequency of Blogging. For the past several years, I’ve blogged almost every single weekday. I enjoy writing, and because it generates a little bit of money, I group it under the Work category. I’m going to be reducing the number of posts-per-week in 2018. 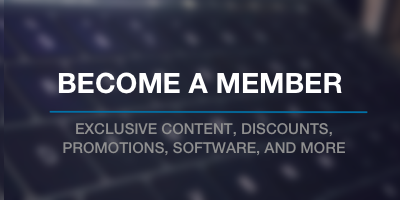 In short, I want to write at least three posts (with one being exclusively for members). Refine Our Systems. One of the things that I really like about having a remote team is that it gives us the ability to work with a high level of autonomy. One of the problems that this has uncovered though is that having too much autonomy can create unneeded stress at various levels. Having just a bit less autonomy, and a defined set of tools and processes and procedures we follow is something I aim to work with the team to define early this year. Blogging Plugins. I’ve been talking about launching a product-side of the business for far longer than I have taken a lot of action on it. So I’m aiming to get something for this shipped within the first quarter of the year. There’s less work to do than has been done, so why not? Mailing Lists. One of the things that I found I spend more time than I’d like is having a usual routine for checking certain sites for far too long. Instead, I’d like to get a digest of emails on, say, a weekly basis, go through those emails, and shorten my “morning reading” a bit into more substantial things and less noise. Sure, this may end up changing things up for one day a week, but I’m hoping it saves some time on the day-to-day, so the effects give me more time to focus on doing good work. Travel Less. In 2017, we had an amazing time traveling. In no particular order, we visited Disneyworld, Tybee Island, another trip to Florida, Gatlinburg, Nashville, Maryland, and Washington DC. I consider that a phenomenal thing. But it comes from diligent savings, focused time management, and it takes a toll on energy. This year, we want to reduce things to roughly one major trip per quarter. Simplify. I don’t consider myself a minimalist in that I consistently try to achieve whatever the minimalist-types would say defines them, but my Type-A nature has had me wanting to have “only the things I need and nothing more.” Having kids can force one of this comfort zone – and that’s okay – but it also makes it easier to allow things to accumulate. Both Meghan and I are on a mission to reduce as much stuff as possible in every single area of our home. 10 Year Anniversary. This year, Meghan and I will be celebrating ten years of marriage. Though it’s just the first of many milestones to come, it’s our first double-digit milestone nonetheless . So we want to take a trip much as we did on our honeymoon. We don’t know when (nope, it won’t be during our anniversary) nor do we know where (nope, it won’t be where we’ve already been), but we know we want to do it. And I’m already stoked for it. 180 – 190 Pounds (Focusing on Cardio and Lean Muscle). I’ve written about this several times in the past (here and here, specifically) and mentioned in the previous post, as well. The short of it is that I’ve found this is another interest-turned-hobby that I have offline. Each year, I’ve been testing out various goals to see what I like. I’ve gone from strictly running, to functional fitness, to size, and back to functional fitness again. I find that when I’m in the 180 – 190-pound range and I’m in good cardiovascular health with lean muscle, I’m happiest (compared to moderate cardiovascular health at 210 pounds). To that end, I’m aiming to stay there. At the time of this writing, I have the first five months planned for what I’ll be doing with a buffer week just in case something comes up, and I need to take a few days off. Okay. Whew. So that’s almost everything. There are a few things that aren’t worth sharing because I consider them too personal or they’re simply too dull. Regardless, I don’t know if it helps you or not, but perhaps it gives some insight on how I’m running things behind the scenes regarding this blog, Pressware, and my personal life in general. It’s not that this particular site has ever been about what’s going on offline, but I’ve met a lot of people online many of whom I’ve met in person or via phone calls. This has lead to a lot of great friendships and so many people who read this blog know a good bit about what I’m about other than writing all of these words (that you’re still reading?! ). Anyway, would still dig hearing what you’ve got planned for the year regardless of how big or how small it is. Feel free to shoot me a tweet and let’s chat.